The red earth and red hill on the horizon represents “La Tortuga,” (turtle) the sacred place of our birth… The genesis of the Tonkawa People. 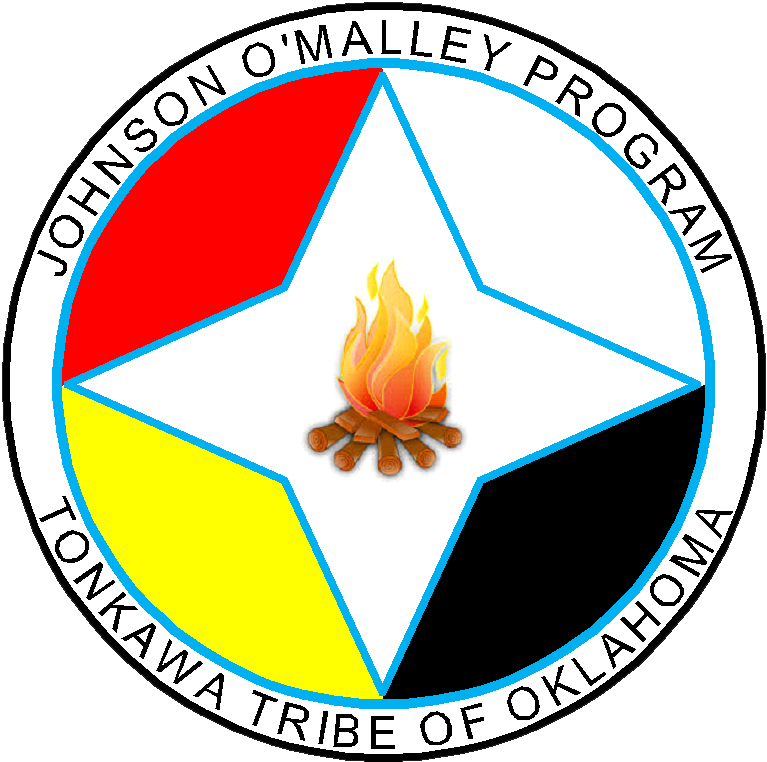 The sacred pipe represents Tonkawa spiritual connectedness to the Creator and the deliverance of life from the womb of the Mother Earth. The sacred water bird image represents the rising up of the spirit and flesh of the Tonkawa to assume its place among God’s creation. The red and blue bi-coloration portrays the counter-forces of a worldly existence. The crimson crescent represents the sacred altar place of our church… the foundation of our traditional religion. The rising sun represents a new dawning of the Tonkawa people… A renaissance of our Tribe within a contemporary society. 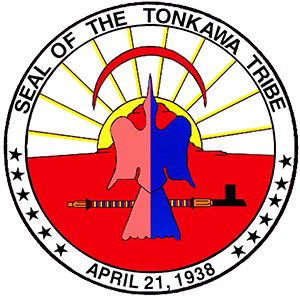 The twelve stars represent the original twelve clans of the Tonkawa Tribe. The circular shape represents the sacred and eternal circle of life… At the center of which stands the Almighty God as the beginning and the ending. Fire: Socrates' Quote: "Education is the kindling of a flame."